1. As I said earlier in another post, we are completely addicted to Canasta. Again this weekend Brad, Lindsey, Ryan & I played not just Friday night but also Sunday night! (Lindsey you are going to kill me!) Brad even returned the 2 deck card shuffler and bought a 4 deck shuffler because the 2 deck wasn't cuttin' it!! We are serious about our game. We could give any old lady a run for her money playing this game. Ha! 2. 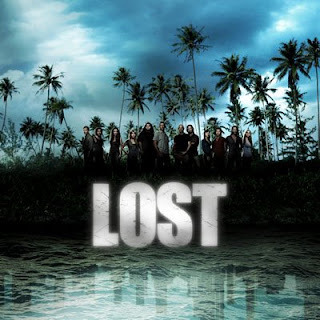 Ryan & I are completely addicted to LOST. I hesitate to say this but... we watched the ENTIRE 4th season this weekend so we could get caught up to this season. We're committed. What can I say? We had DVRed the season premiere but couldn't watch it until we got caught up. I must say TOTALLY worth it. If you have not jumped on board with this show you must!! We are so wrapped up in it and it entertains us unlike any other show. 3. 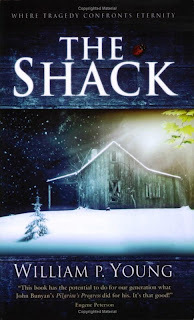 Tonight I just finished reading The Shack. I am obsessed with this book. I have already bought and gave away three other copies to family members and I will be lending my copy to two other friends to read it. I was captured by the essence of God in this book and how it portrays a relationship with him. It also opened my eyes to how God is love and the only way to truly love another is through him. Even to experience true forgiveness, true healing, true anything is through him. You have got to go borrow or pick up a copy to read it. I promise you it will touch you. Hello, I found you off of feedjit on the recipes. I'm a proud mother of three boys that keep me very busy. My oldest two keep me very busy with soccer and we usually travel at least once a month for about 10 months of the year. My two year old battles asthma, allergies, and has recently shut down from eating so he is on a NG tube at the present.